This Zeiss 100mm Macro has been rehoused by Oppenheimer with a PL mount. It extends from 1:10 to 1:1 and has an exposure compensation scale. 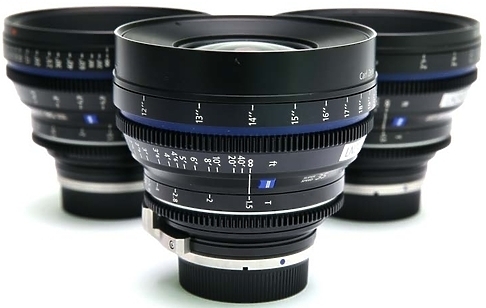 Whether you’re shooting a commercial where exquisite colour rendition and high contrast is important, or a tense, dramatic sequence in low light situations for a feature film, Compact Prime CP.2 Super Speed lenses offer you the performance you need to get the scene right. 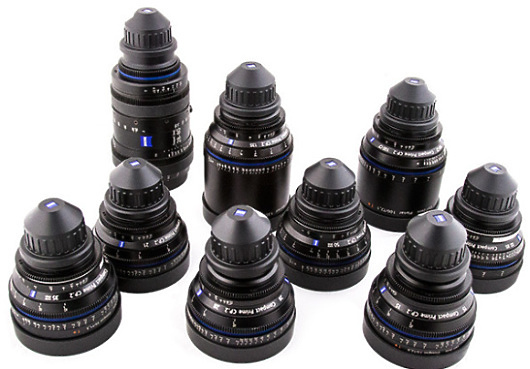 They are an ideal complement to the existing range of CP.2 lenses. 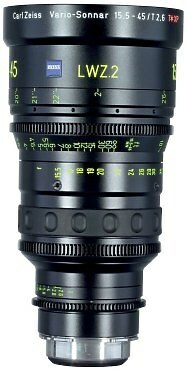 The Zeiss LWZ.2 Lightweight 15.5-45mm T2.6 Zoom is the first of its kind –– a high-quality, interchangeable-mount zoom lens designed for use on both cine and DSLR cameras. What distinguishes the LWZ.2 from other, PL-mount-only zooms is the interchangeable lens mount, which can be swapped out for an optional Nikon F or Canon EF mount. 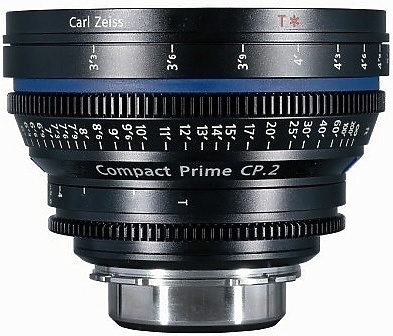 The Compact Prime CP.2 lenses’ improved functionality means improved ergonomics compared to standard SLR lenses, standard housing dimensions, standard focus and iris gear positions. 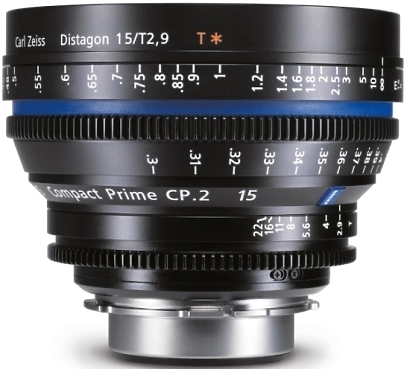 The full range of Compact Prime CP.2 lenses gives you not only the flexibility you need but also the competence and high performance you expect from your equipment. 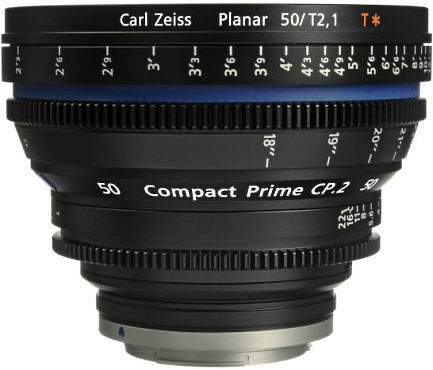 With its long history in both photo and cine lenses, Carl Zeiss is dedicated to supporting filmmakers and allowing you to benefit from the highest possible image quality in any situation. 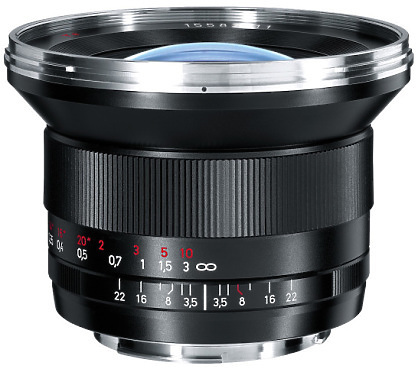 The Zeiss Distagon T* 18mm f/3.5 ZE Wide Angle Lens is designed floating lens elements that deliver consistent high-quality over the entire distance range from 0.98' (0.3 m) to infinity. The Zeiss T* anti-reflective coating yields images with depth, contrast and brilliance even under a difficult lighting situations.